¶ Most if not all the two stroke race bikes sold now-a-days have a power valve in the exhaust port. A power valve is just a piece of metal that moves down and covers part of exhaust port making it smaller. Big ports mean big horsepower, but they also mean narrow power band. By making the port smaller, the power valve helps make the power band wider. It does this by keeping more of the fuel mixture in the cylinder, and out of the exhaust pipe, at lower RPM. The power valve should be closed at Low RPM and Open at High RPM. The Power Valve does this with centrifugal weights (Governor) that over come spring pressure and move the Power Valve Linkage. The linkages usually are spring loaded. This is to close them at low RPM. Each manufacturer has a different way of moving the power valve. 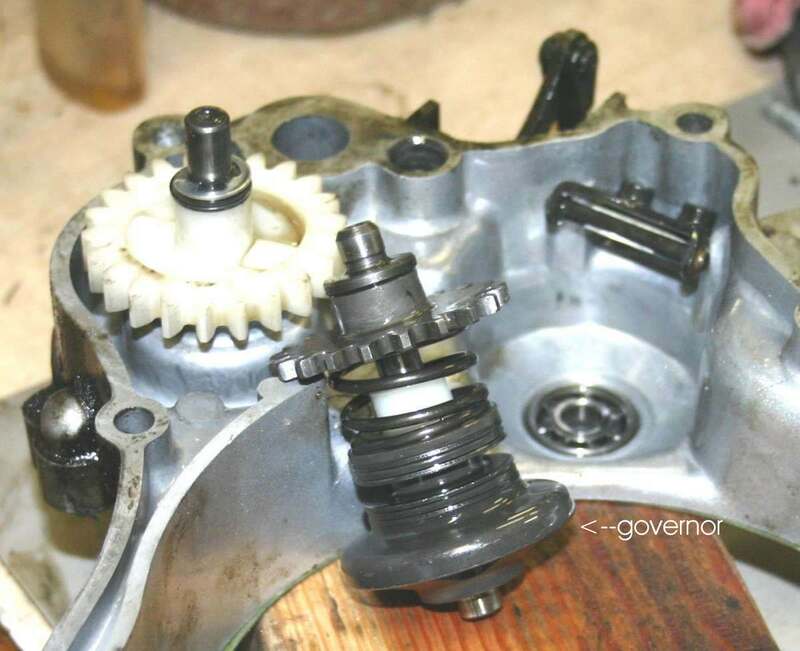 Everyone has different linkages, different styles of Governor, and different ways of adjusting them. Check your Shop Manual. In general, the big thing to remember on power valves is that they are closed when the engine is off. That is when you adjust them. In the closed position. 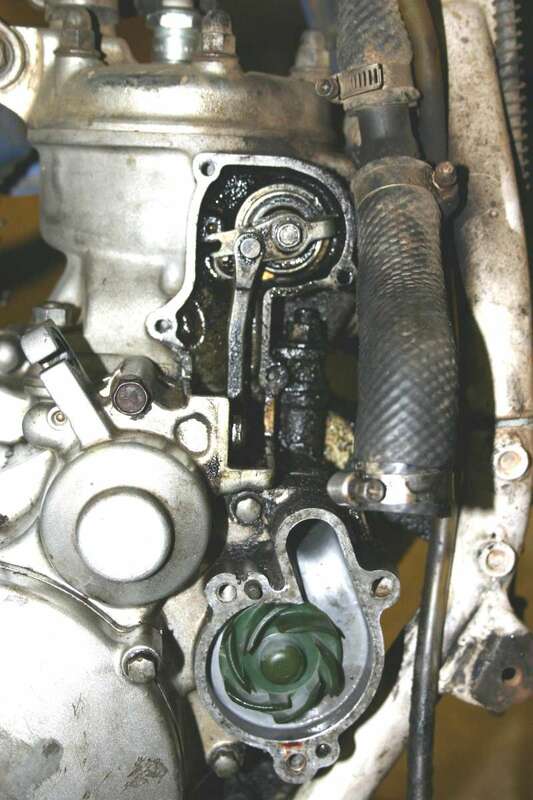 On Hondas and Yamahas there usually is a small hole in the cylinder and a hole or goove in the linkage arm. 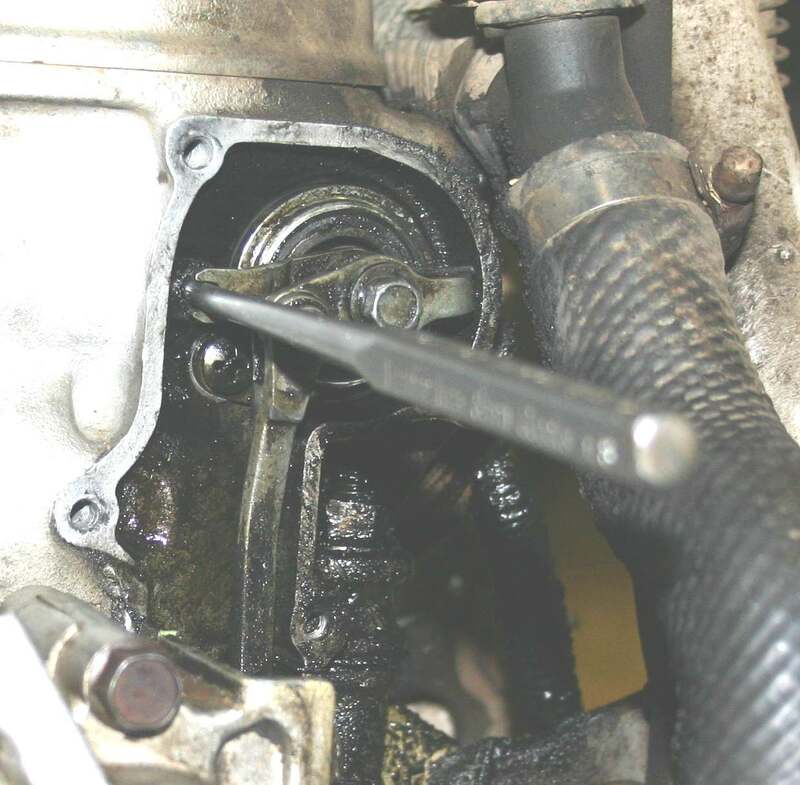 Adjustment is done by putting a rod, of the right size, in both holes, locking the power valve closed. Now loosen the adjusting bolt on the linkage arm, then tighten it. With Kawasakis you must align the punch marks on the exhaust valve gears with grooves on the Valve Operating Rod. 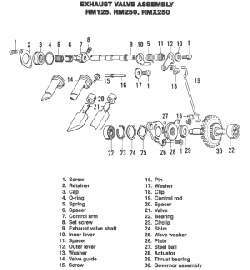 On Suzukis there's a spring to set preload on (one turn). 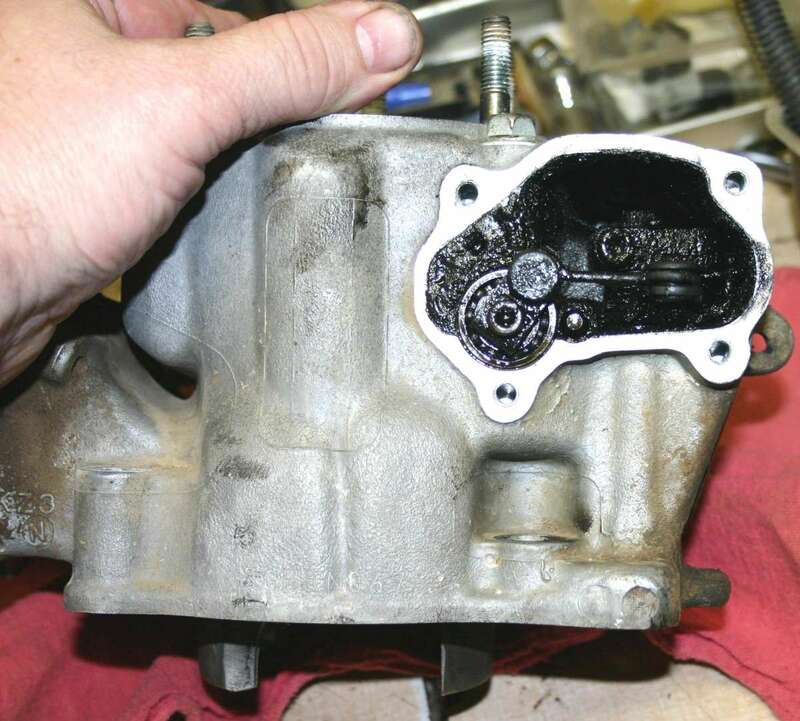 this ensures the exhaust valve returns to closed when the Governor releases pressure on it. Power Valves have a lot of parts in them. When you first disassemble them for cleaning a shop manual will be invaluable. Also remember that these things require regular maintenance to remove carbon. On most Race bikes that means cleaning and readjusting them every seven (7) to twelve (12) hours of running. If you have a steel cylinder liner, and not a plated cylinder, you can bore the cylinder to a bigger oversize. If you do so, you will need to grind the Power Valve a bit so it will not hit the new, oversized piston.